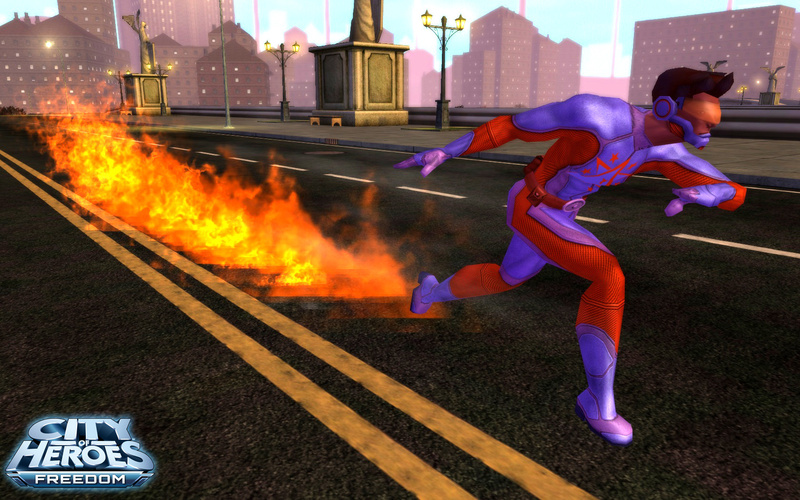 Playing City of Heroes Freedom always gives you super-powered action, over seven years of exciting stories, and constantly updated features and MMORPG content. Get more depending on what you choose as a player. Play as a Hero or Villain for up to Level 50. Play in 45 different game zones. Select from 8 character archetypes and 100 Power Sets. Enjoy over 1,000 missions that will allow you to travel in time, visit alternate dimensions, and fight off alien invasions. Buy anything you'd like from the in-game store. We honor your commitment and experience! If you used to play City of Heroes, you automatically become a Premium Player. New free players can become Premium Players by buying any amount of Paragon Points. Get everything that free players get, plus. Retain nearly everything you already purchased or unlocked, including Super Boosters, expansions, and directly purchased character slots. Retain all the Veteran Rewards you earned. Subscribe as a VIP player and you get exclusive content and priority treatment. Play with all 14 Archetypes, and over 150 Power Sets. Enjoy at least 12 character slots per server. Get monthly signature story arcs for free. *Subject to change by launch. Veteran Rewards credit that translates into Paragon Rewards credit. Rewards you can redeem more than once--if you want to. A flexible choice on which reward you earn next. An easy way to see your current standing in the Paragon Rewards program. Current players of City of Heroes® have enjoyed the Veteran Rewards program for years. Under that program, players received new bonuses for every three months they subscribed to the game. With the launch of City of Heroes Freedom™, Paragon Rewards--a superior rewards program in every way-- will replace the Veteran Rewards program. Paragon Rewards gives you credit for every single month you are a VIP player, not every three. In addition, purchasing Paragon Points for use in the Paragon Market will improve your Paragon Rewards standing. You'll be able to select from all the rewards that you to could find in the Veteran Rewards in the Paragon Rewards program and new rewards exclusive to the Paragon Rewards program, as well! In addition, you can choose which rewards you receive every time you earn a new one. We've worked to make sure that the Paragon Rewards program treats our current players right. You will keep all of your accumulated Veteran Rewards and badges. In addition, you will have a head start in the new Paragon Rewards program. You'll be closer to earning the top tier rewards reserved for our most dedicated and loyal players right on day one. We honor the commitment and experience of returning players, too. If you were a City of Heroes subscriber previously, you will find all of your previous Veteran Rewards intact, even if you are not a VIP player. All City of Heroes Freedom players will be able to use the Paragon Rewards program to select from rewards that include costume parts, powers, auras, badges, account wide enhancements and services, and repeatable monthly rewards.